A beautiful day to be out doors! Off I went to visit the Dali Museum. 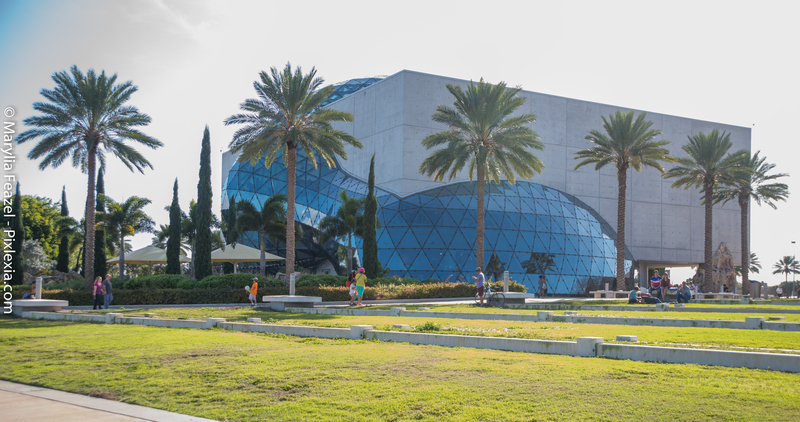 If you are not familiar with Florida, the Dali is located in Saint Petersburg, Florida. It had been a couple of years since I was out here and I wanted to view the Picasso exhibit while it was here. I always admired Picasso’s work and considered my self a fan of his work. I especially favor his surrealist and cubist periods. I did not know that Dali was an admirer of Picasso’s work. In fact Dali followed Picasso’s work very closely and often produced a painting in response to a Picasso piece. It is comforting to learn that two artists of such magnitude played off of each other’s work. Some of Dali’s work reflects the influence of Picasso. Who introduced him to the art world in Paris and financed his trip to America. 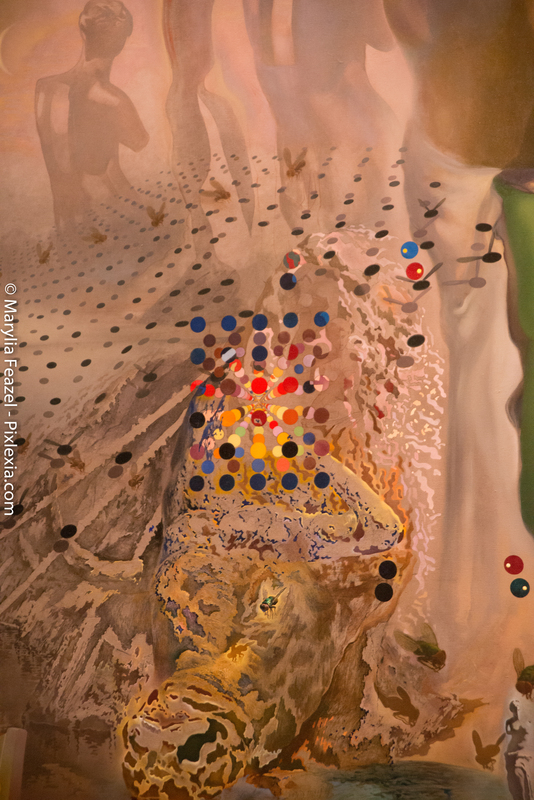 This is a close up of the lower left section of Dali’s “Hallucinations of a Toreador”. If you zoom into the cube formed by the colored spheres you can see the perfect geometry! 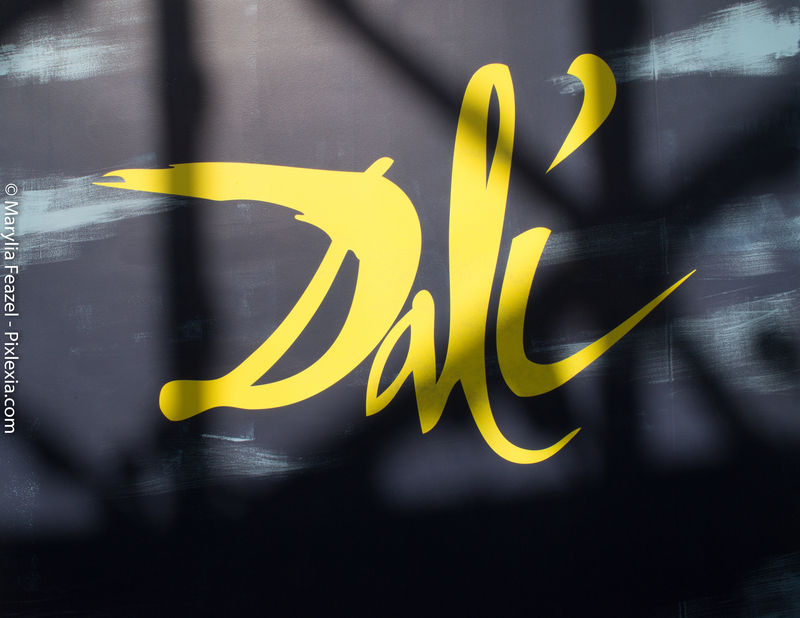 Certainly Dali was inspired by Picasso’s style and demonstrated it in a few of his paintings. 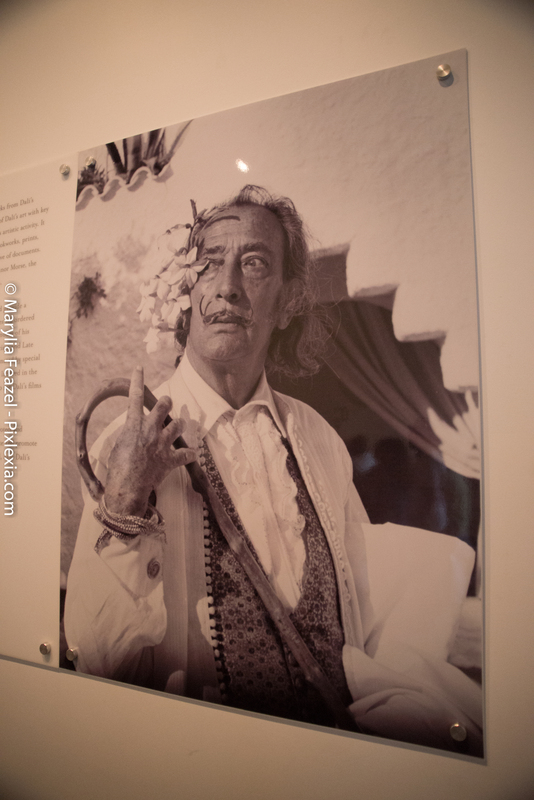 Both Dali and Picasso were proud spaniards with huge egos. In this Dali work I can see Picasso’s influence. Dali’s painting of his sister in style similar to Picasso’s woman in white dress. Dali’s Lincoln reflects the Cubist influence. Can you see Lincoln? What else do you see? Somewhere recently I read that everything has already been done. Yet this should not stop an artist from producing his or her interpretation. Dali is proof of that. Although he may have been inspired by the mastery of Picasso, yet he evolved into his own genius! Ole! Viewing the work of these two giants in the same gallery changed the way I felt about their work. 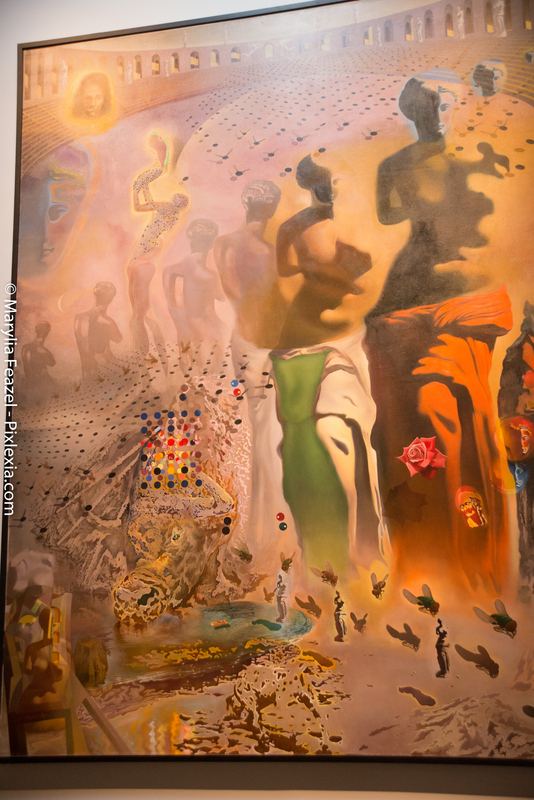 In my opinion, Dali becomes my favored artist. His work possesses a fluidity that appeals to me. In all his work there is a mature artistic style that, when compared to Picasso, makes Picasso’s work of the same period seem immature and overly childish. I am aware that Picasso was an extremely talented artist and one who fully understood the principles of art and in his neo-classic period produced beautiful work. 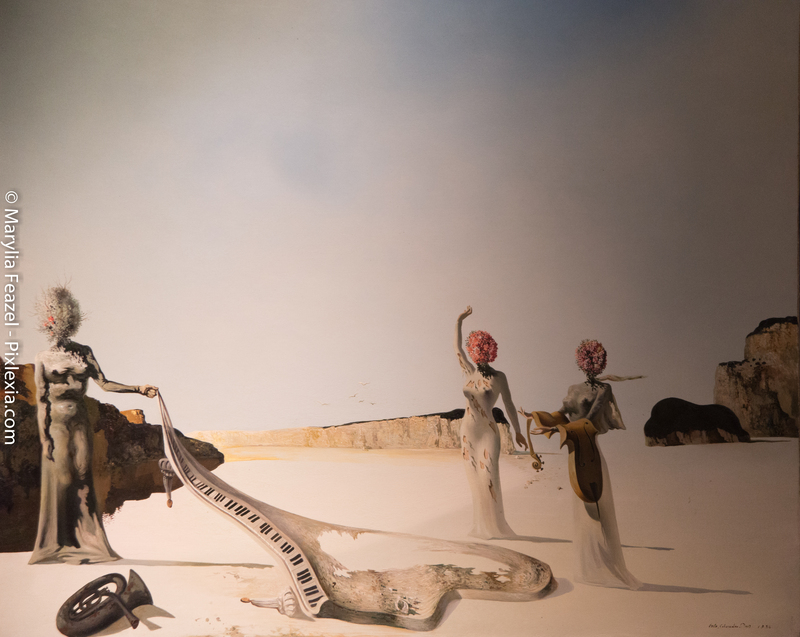 Dali’s work however, communicates much that appealed to me. It seems polished, sophisticated, and mystical. His use of light is far more complex than Picasso’s. I especially love the duality in the work of both artists, but here again, Dali’s Lincoln, and Hallucinations of a Toreador” are outstanding pieces. 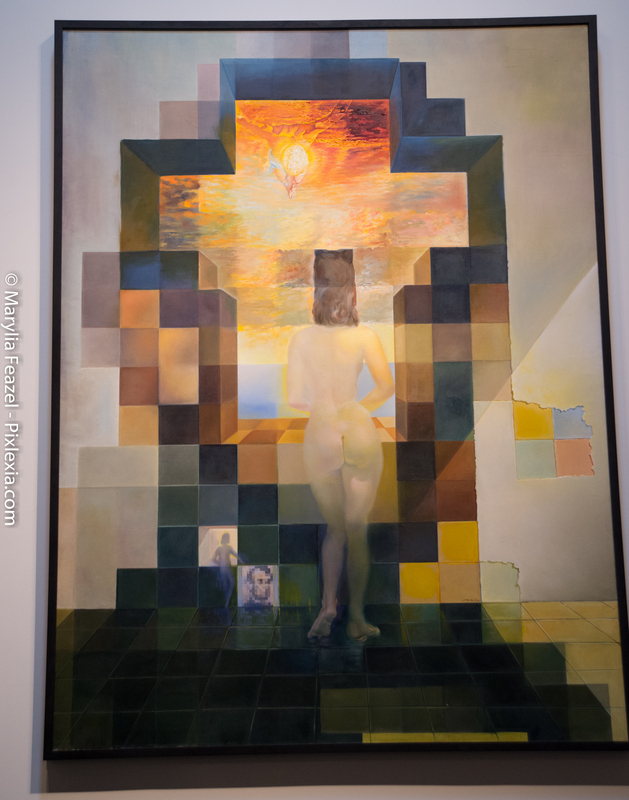 I am including a collection of images the museum allowed visitors to take in the Dali Gallery, unfortunately, they did not allow any photography of the Picasso Gallery Pieces. Still I was glad they let us take pictures at all. He tried to improve many different styles of art, such as Impressionism, Pointillism, Futurism, Cubism, and Neo-Cubism (Secrest 15). Here are images from other features of the grounds, and several of the reflections from the outside of the Dali Building. It is one of my favorite architectural subjects to photograph! Everything has a story . . . a strange story! So Dali! Dome Exterior is a glass chrysalis! Dali seemed to have thing for butterflies. The Helix swirl of the stairways. Dali was fascinated by the DNA Helix and was close friends with Francis Crick one of the individuals who discovered the DNA Helix. Helix stairway leading to . . . heaven?? Well close, to the 3rd floor Galleries and skyline view. Decompensation of time I love it! THE END OF THE HOLIDAYS! Previous PostHAVE A BIG JUICY CREATIVE LIFE THIS YEAR!Next PostGratitude!